The Pazo de Vilane project re-emerged in the 1990s with the ambition of giving a new lease of life to our family’s manor house. 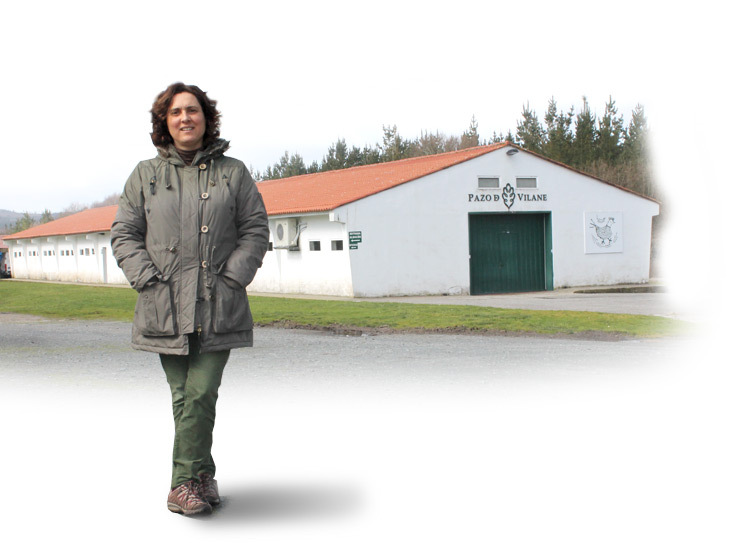 Our dream was to carry out a sustainable, innovative project in a rural environment in which the products would be the result of a careful artisanal process. With a vision focusing on human beings and nature, we get up every day thinking of this project like an empty canvas that we paint with all our enthusiasm, work and effort. For our project does not end here. It never ends. That is why we invite you to find out more about us and help us fill in the different lines in our history every day. Our history is a different one. We rowed against the tide from the start, knowing that the future lay back in the countryside again. We launched our business with the mission of giving the raison d’être back to our family’s manor house, after three hundred years of history and twenty years of neglect. We believed that the house should be a place for agricultural production with a social and cultural focus. High-quality products under the umbrella of our own brand. Respect for our surroundings and the environment. Feasibility of the project in terms of land. Restoration of the historical family heritage. Care for the animals’ life and wellbeing. Commitment to job creation in a rural environment. Sustainable, artisanal workflows and production processes. Forerunners in the countryside and agricultural economy as a forward-looking project. Our free-range eggs and organic jams are available at many establishments near you.